#UKvUSA: What Matters More, Price Or Value? At the end of my post is a link to Matthew’s post on the same subject. We don’t know each other’s response before writing our own. Maybe we will agree, maybe we wont, maybe we don’t even see the question in the same way – who knows… that’s the fun part! We have also set a 500 words or less format to keep things moving along. Please do leave comments and if you happen to support one side over the other let us know on either blog! I am proudly representing TEAM USA, and share with #UKvUSA on Twitter. LET THE DUEL COMMENCE! #UKvUSA: What Matters More: Price Or Value? In order to answer this question, first we need to define the terms. Price is the final bill, not the estimate, and includes overages, aa’s, shipping costs – everything that I have to pay the printer for that work. Value, is the contribution of the printer to help me keep my final bills as close to estimate as possible, and help me create great print and marketing, beyond customer service. 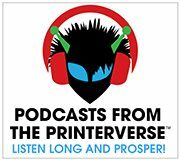 I have had many conversations with printers over the years on this subject, and it has also spurned a few heated discussions in my LinkedIn group Print Production Professionals. The biggest point of contention is always defining value, and printers tend to fall back to believing they create value with “better quality, pricing and customer service.” However, if EVERY printer says this and believes they do this, than it’s not added value, it’s status quo. BE A PARTNER. Not a vendor, not a salesperson, a partner. I had a printer tell me he didn’t feel he could execute some complicated work, as I needed it done. He recommended other printers who could. While half of you reading this are thinking “moron” – that is VALUE. Losing one job saved him all the rest of my work that I would have moved if my results weren’t up to par. As well, that HONESTY created a stronger partnership between us, and I took that printer with me through several agencies – and they STILL have some of that business active though I am long gone. BE A MENTOR. Stop sending emails and newsletters with offers for discounts and start sending information to help your customers print smarter. Teach them how to collect and manage data, and use it respectfully in their marketing. Share articles of interest relevant to your offerings, and some that are bigger picture to help the buyers keep topical and bring new ideas to their company and/or clients. Take an active role in creating better marketing, and consider that time your investment in a long-term relationship. BE MORE. Throughout my career there are a handful of printers out there I have aspired to work with. They never talk price, they talk results. Their websites are overflowing with amazing images of their work and testimonials from their big-name customers. They are first to introduce new technologies and printing processes, and first to educate on what buyers need to know to use them. They create a value-filled experience for all who come in contact with them, whether you do business or not. That makes me want to. As a print buying professional, there is no instance where both price and value don’t come into consideration when choosing a printer. When quotes are apples to apples, and even sometimes when they are not, added value the printer bring to the partnership is the deciding factor. How do you add value for your customers is the real question though, and I hope you will share! DON’T MISS Matthew’s How To Stop Print Buyers Choosing On Price Workshop at GRAPH EXPO, Monday 14th September! He is making his US debut with this awesome session and it’s open to everyone. 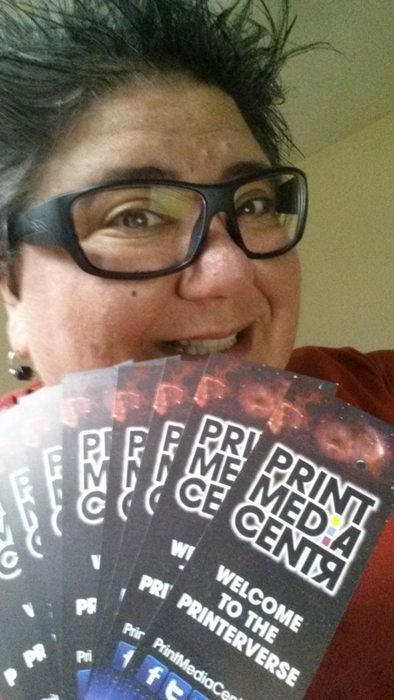 Info/register here and you can also find Matthew hanging out with us in The Printerverse, and on a few of our free panels too! Can’t make it to Chicago – we have you covered! Watch all our panels and events via LIVESTREAM!